Is CNN PURPOSELY Rigging Its Polls To Indoctrinate You? The shock Election of Donald Trump was actually something that shouldn’t have been a surprise. The polling data was vastly under-representing his support in an attempt to sway public opinion (the idea that “no one wants to back the losing side” is a powerful one). This shocking indoctrination has not stopped. In fact, latest data shows that Trump’s approval ratings are far higher than CNN (and others) polls would have you believe. 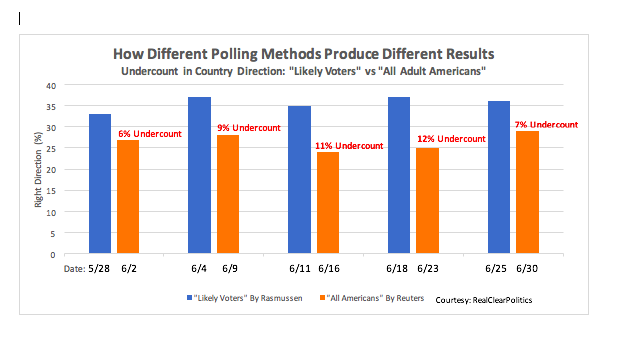 When paid polling agencies are given a task, they insert an element of bias into not only how they ask the questions, but also who and how the select the respondents. In many of the polls leading up to the election, “Certain” and “Likely” Democrat voters were often over-represented by a large %. This meant that the final data would show Hillary doing better nationally than she actually was. They continue to do the same with President Trump’s approval ratings. The MSM wants you to think he is unpopular with others so that he may become unpopular with YOU. It is propaganda and lies aimed at brainwashing YOU. Don’t let them do it! “I do know inherently there is a Democratic bias in the polls. And most of them will deny it” says Raghavan Mayur, an independent pollster who is president of TechnoMetrica, which leads the polling operations at Investor’s Business Daily. A national financial news organization, IBD was one of the few polling organizations to predict a Trump victory, and it has accurately called the last four presidential elections.